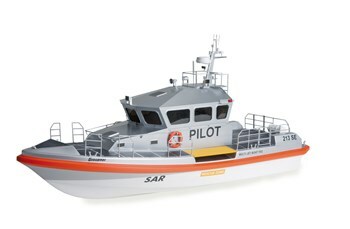 New CAP Maquettes offers a wide range of model boats to build, with wooden or ABS hull, static display model kits or radio controlled boats, from the simplest to the most perfected. Tugboats, pilot boats, lifeboats, haulage and travel ships are working boats. From the Bellissima made of mahogany to the Challenger 800, competition sailing yacht with ABS hull, New CAP Maquettes offers a selection of radio-controlled sailing boats. Eric Tabarly's Pen Duick, model 1/28, is provided with its deck equipment and sewn sails. 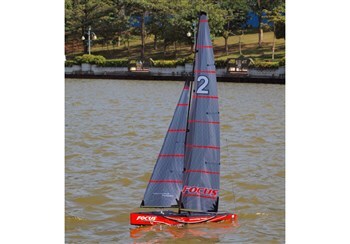 Take a great deal of pleasure in making sail your racing boat with these quality radio controlled models. 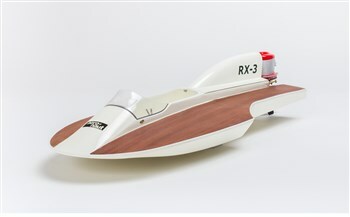 You'll love the semi-scale model of the Hydroplane RX-3 that set a speed record in 1958. The radio-controlled offshore Tempo will charm young people. New CAP Maquettes advises you for the motorization and the radio control of all your models of boats. 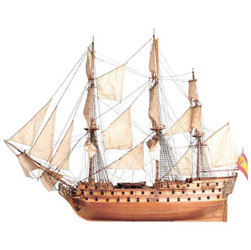 Travel and relive the famous battles of history with the wooden model boats of the period navy like the Santa Maria, legendary caravel of Columbus and find the Hermione, Marquis de La Fayette's frigate. New CAP Maquettes manufactures contemporary warships like the VLM (Missile Launching Vessel) and its fittings. We will advise you for their motorization. 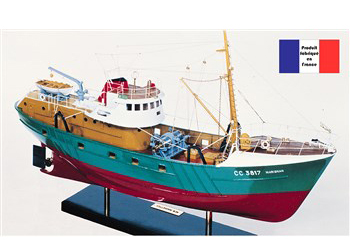 Naval model making specialist, New CAP Maquettes manufactures models of wooden fishing boats. All these boats are intended to receive a motor and a radio control equipment. Put out to sea with Marsouin, steam trawler or with Asterix II, stern trawler! A very elegant wooden boat from the 50s and 60s, the runabout did not originally have a cabin because it was designed for short trips. This sport boat is very popular for water skiing. 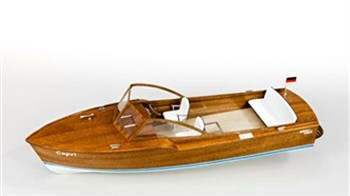 You will be seduced by the italien sport boat Princess, model made of high quality mahogany wood. The assembly of the Classic is very simple, even for a beginner. 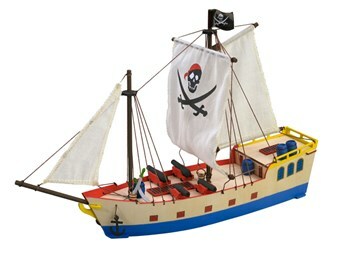 Find our selection of wooden model boats for the initiation of our young model makers. From the age of 6, children will enjoy building and decorating very simple static wooden models. The juniors will discover the naval model making, the tools and the materials. The models of boats for adolescents are motorisable, they contain the electric motor, the propeller shaft and the propeller. The building of Aero-Naut's Mowe trawler model is suitable for a group project, as a school technology project. New CAP Maquettes also offers the glues and paints necessary for a beautiful realization.